A suspect believed to be the Mayor of Newcastle Ntuthuko Mahlaba has been arrested on a murder charge. When asked to confirm that Mahlaba, who was sworn in this month, had been apprehended in connection with the murder of ex-ANC Youth League member Wandile Ngobeni and linked to the attempted murder of another member, police minister Bheki Cele's spokesperson Reneilwe Serero would only confirm that a "senior official of the municipality" had been arrested. This suspect would appear in court within the next 48 hours. Serero confirmed the arrest related to murder, but refused to divulge if it was one or more charges. Ngobeni died at the scene while the regional secretary suffered serious injuries but survived. 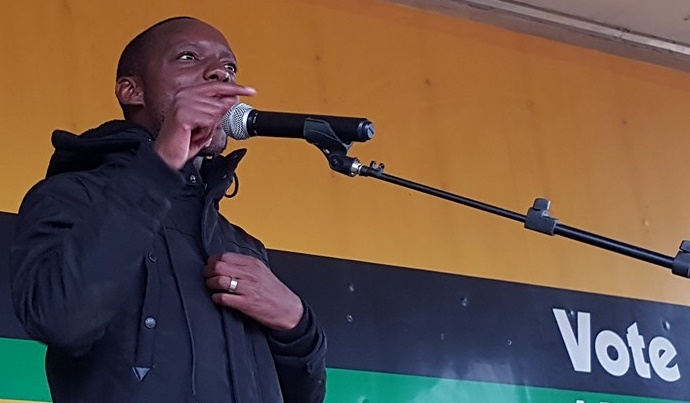 “We expect no member of the ANC to support any of those accused of political assassinations. They must be removed form their positions and replaced with immediate effect,” he insisted. Sabelo maintained that he “without fear of contradiction” welcomed the arrest of both mayors.